Elizabeth Woody is an award-winning author of poetry, short fiction and essays. She is an educator and practicing artist. She won the American Book Award for her first book of poetry, Hand Into Stone. She later won the William Stafford Memorial Award for Poetry, among other literary awards. 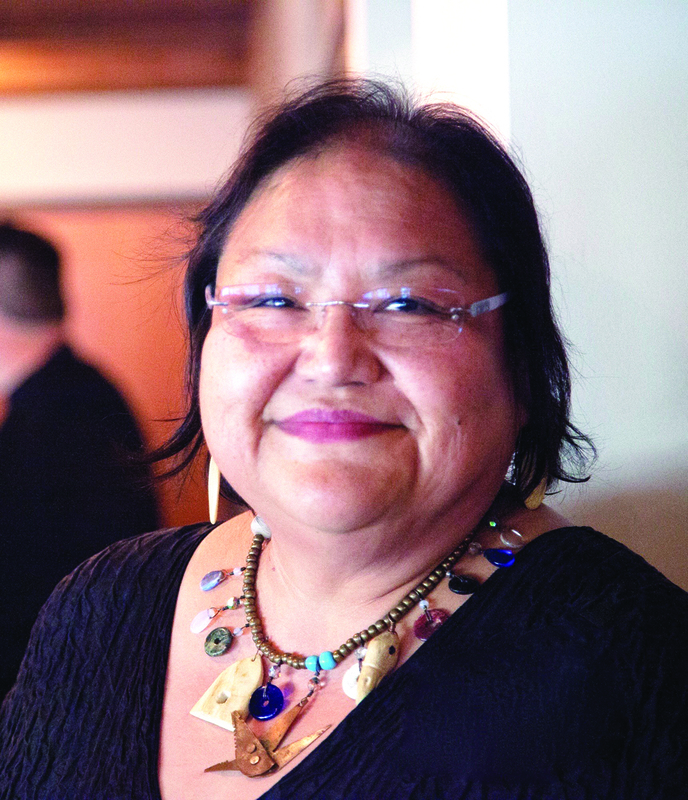 Elizabeth was a founding board member of the national Native Arts and Cultures Foundation, and was a founding member of Soapstone, a group dedicated to supporting women writers. A member of the Confederated Tribes of Warm Springs, Elizabeth will soon be the next Oregon Poet Laureate. Gov. Kate Brown made the announcement last week, on the recommendation of the Oregon Humanities. Elizabeth is Navajo, Warm Springs, Wasco and Yakama. She was born in Arizona, on the Navajo Reservation, but has lived most of her life in Oregon. Elizabeth studied in the early 1980s at the Institute of American Indian Arts in Santa Fe. She then earned a bachelor’s degree in Humanities with an emphasis in English from Evergreen State College in Olympia. In 2012 she received a Master of Public Administration Degree through the Executive Leadership Institute of the Mark O. Hatfield School of Government, Portland State University. Ms. Woody will assume the Poet Laureate role in late April, at a public ceremony. The Poet Laureate fosters the art of poetry, encourages literacy and learning, addresses central issues relating to humanities and heritage, and reflects on public life in Oregon.